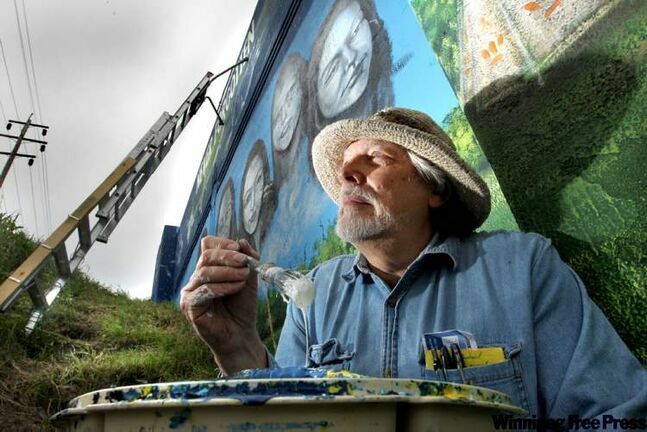 A Winnigpeg muralist is hoping his art will bring answers to grieving families of missing and murdered Aboriginal women and girls. And, he’s got the support of the provincial government and the victims’ families. APTN intern, Amy Stretten, has the story. TAHLEQUAH, OKLAHOMA – I was really sad today to hear that Wilma Pearl Mankiller, Former Cherokee Nation Principal Chief, author, lecturer, women’s and Native American’s rights advocate has been diagnosed with Stage IV Pancreatic Cancer. Wilma Mankiller is an author, lecturer and former principal chief of the Cherokee Nation. Her roots are planted deep in the rural community of Mankiller Flats in Adair County, Oklahoma where she has spent most of her life. She was born in 1945 at Hastings Indian Hospital in Tahlequah, and grew up with few amenities. At age 10, her family moved to San Francisco as part of the Bureau of Indian Affairs Relocation Program where she lived for two decades before returning to Oklahoma in 1977. Wilma was the founding director of the Cherokee Nation Community Development Department, which received several national awards for innovative use of self-help in housing and water projects in low-income Cherokee communities. Then in 1983, she was elected the first female deputy chief of the Cherokee Nation, and president of the tribal council. In l987, she was elected to serve as the first female principal chief of the Cherokee Nation, and was overwhelmingly re-elected in 1991. She chose not to seek re-election in l995. During Wilma’s tenure she met with Presidents Reagan, Bush and Clinton to present critical tribal issues, and she and Navajo Nation President Peterson Zah co-chaired a national conference between tribal leaders and cabinet members which helped facilitate the establishment of an Office of Indian Justice within the U.S. Department of Justice. Wilma’s tenure was also marked by a great deal of new development, including several new free-standing health clinics, an $11 million Job Corps Center, and greatly expanded services for children and youth. She led the team that developed the core businesses which comprise Cherokee Nation Enterprises. She has been honored with many awards, including the Presidential Medal of Freedom. She has published several works, including, Every Day is a Good Day, Fulcrum Publishing 2004, Mankiller: A Chief and Her People, co-authored, St. Martin’s Press 1993, A Reader’s Companion to the History of Women in the U.S., co-edited, Houghton-Mifflin 1998. She has also contributed to other publications, including an essay for Native Universe, the inaugural publication of the National Museum of the American Indian. Wilma Mankiller lives on the Mankiller family allotment in the Cherokee Nation with her husband, Charlie Soap. She has served on several philanthropic boards, including twelve years on the board of trustees of the Ford Foundation, four years on the Board of the Ms. Foundation for Women, and four years on the board of the Seventh Generation Fund. She current serves on the board of the Freedom Forum and as well as its subsidiary, the Newseum, a $400 million museum of the news being constructed on Pennsylvania Avenue in Washington, D.C. to promote the First Amendment. She has served as a member of the external Diversity Advisory Council for Merrill Lynch. She has presented more than 100 lectures on the challenges facing Native Americans and women in the 21st century. She served as the Wayne Morse Professor at the University of Oregon for the fall semester, 2005 where she and Dr. Rennard Strickland taught a class on tribal government, law and life. Education: Bachelor of Science degree in social sciences, some graduate work in community planning. VANCOUVER, BRITISH COLUMBIA – Canada’s Indigenous communities helped open the 2010 Winter Olympics Friday night. Aboriginal performers danced during the entire march of nations for the games (which have been dedicated to luger Nodar Kumaritashvili of the country of Georgia, who died on impact in a horrific crash on the sliding track during a practice run at Whistler). The excitement of the opening ceremony sharply contrasted the grief that many felt from the tragedy that occurred earlier in the day. There were more than 50,000 ticketholders in the stadium during the first ever Olympic opening or closing ceremony held indoors. Approximately 2,500 athletes from 82 countries are participating in the games. First-time Winter Olympic medal contenders include the Cayman Islands, Columbia, Ghana, Montenegro, Pakistan, Peru, and Serbia. LONDON, ENGLAND – Readers of this blog will probably be curious to know why I am writing about fashion – a topic rarely discussed at NativeJournalist.com. 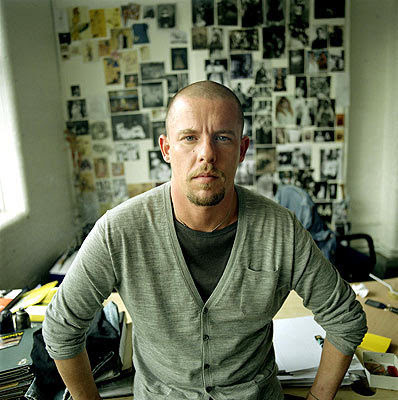 When I heard the news this morning that fashion designer Alexander McQueen died of an apparent suicide I felt I had to blog about it. While I am a self-proclaimed shop-a-holic (yes, sadly it’s true), I would normally choose to leave fashion news for my new (and upcoming) blog – plug coming soon – and let this blog continue to touch upon more “hard-hitting” issues (most of the time). However, what struck me about this event is that McQueen took his own life. This is something Native people know much too personally as the rates of suicide within the Native American community are about 1.5 times higher than US national rates. Many will agree that McQueen was a genius. His designs were dark, shocking, and and always pushed the envelope. His creativity and willingness to take artistic risks will be greatly missed. R.I.P. Alexander McQueen. If you or someone you know might be considering committing suicide, please seek help. Trained counselors at the National Suicide Prevention Lifeline are available 24/7: 1-800-273-TALK (8255). A call to them is free and confidential and they have a nationwide network of crisis centers. Native Americans can take pride that Tennis icon Billie Jean King, a Cherokee, and Ted Kennedy, descendant of an honorary Iroquois Chief, did wonders to create equal opportunities for girls/women in sports and education in America and abroad. By enforcing the 1972 Title 1X Education Amendments Act, they actually helped restore those equitable traditional ways of the First Americans, which were interrupted in the last 150 years. On a side note…Yesterday I had the chance to meet choreographer and director Kenny Ortega who was directing Michael Jackson’s “This Is It” concert, but is now directing the film with the same title as a tribute to the work and legacy of the King of Pop. I’ve heard there will also be some moments here and there in the film that show the softer, human side of Michael Jackson. (I hope I will get to see it in theatres!) Yesterday I also met Michael Jackson’s old personal assistant and assistant to Ortega since 2007, James Phares, who shared with me some very touching memories of Michael Jackson. He told me how thoughtful, sensitive, and loving he was with all those he came in contact with. Read more about Kenny Ortega and his work at his website. While I was never lucky enough to meet Michael Jackson, I have been a huge fan of his since I was a little girl. I used to dress up in this weird color-block outfit that was black on one side and white on the other and match my shoes and socks (and hairbands even!) and perform “Black or White” for my family in our living room. I loved that video because it was the only pop video I knew of that blended so many scenes from cultures from around the world (not just those representing “black” or “white”), including my own. Seeing Native Americans dancing in a music video (not to mention Michael Jackson’s music video!) made me feel as the only-Indian-girl-at-her-school-practically-her-whole-life, like my culture and I mattered. My people were not just worthy of respect, but we were cool, too! Michael Jackson has meant a lot to me throughout my life not just because he is the best performer to ever live, but because of where he stood with the human rights movement, bridging the gaps between so many different peoples, and continually poking holes through the racial glass ceiling. He will always be my hero and my inspiration to dare to dream the impossible. I love and miss you Michael…Happy Birthday! Check out Michael Jackson’s website here. I’ll leave you with what I think is one of Michael Jackson’s best videos!